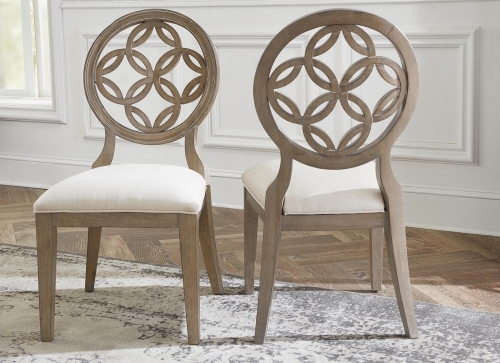 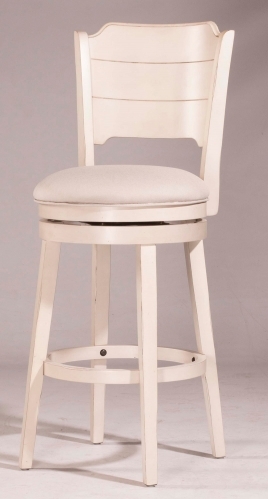 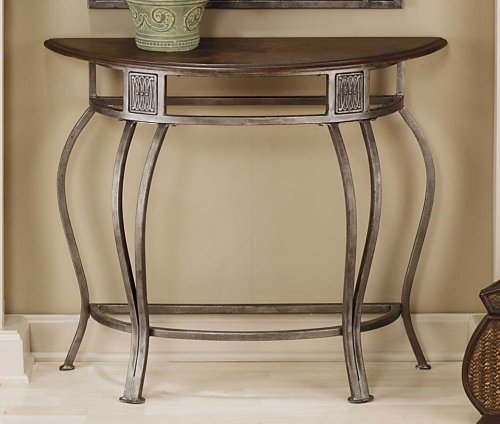 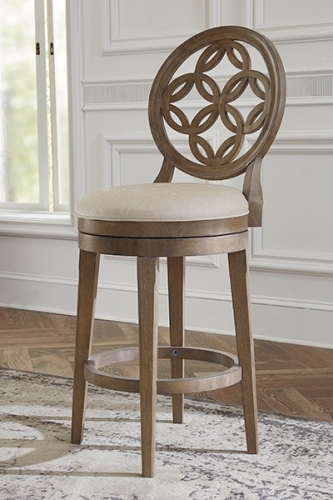 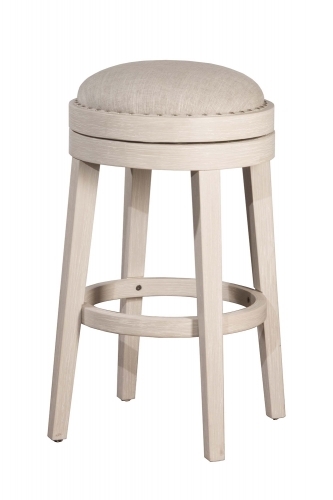 Sweeping interlocking circles, intricate complimentary castings and elegantly curved legs combine to create a stool with grace, movement and elegance. 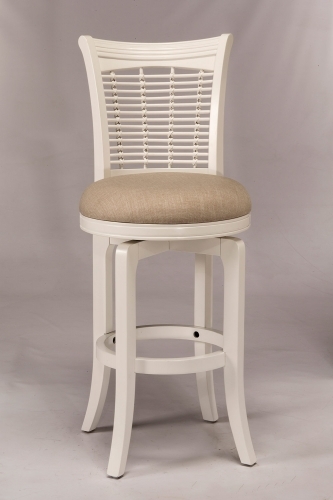 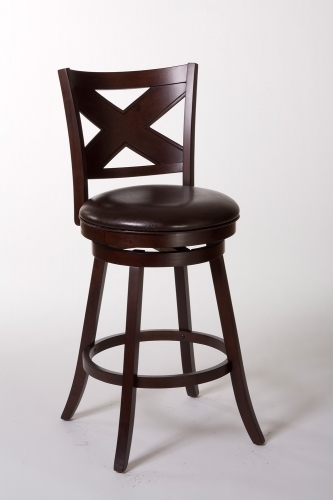 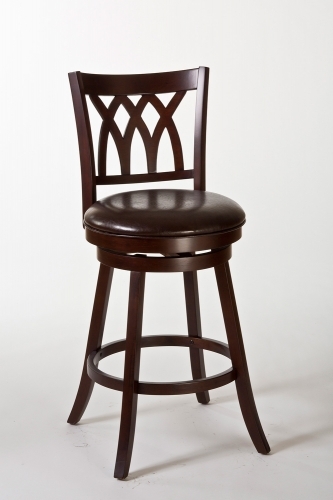 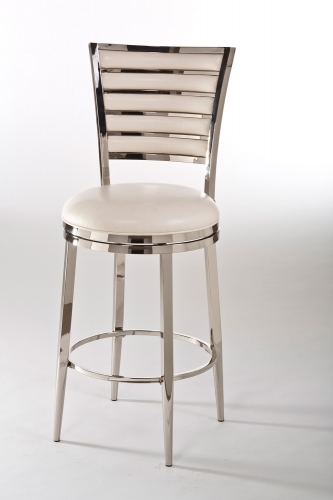 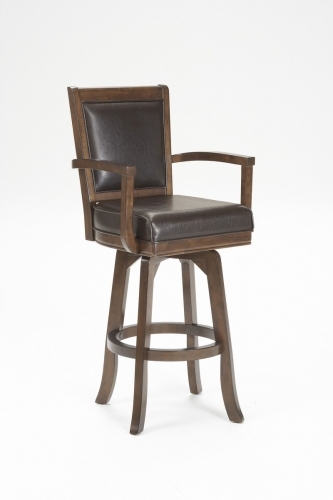 Available in both counter and bar heights and with 360 degree swivel. 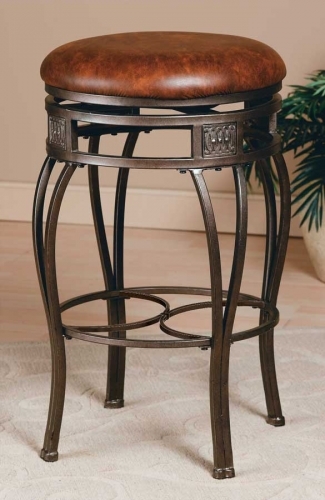 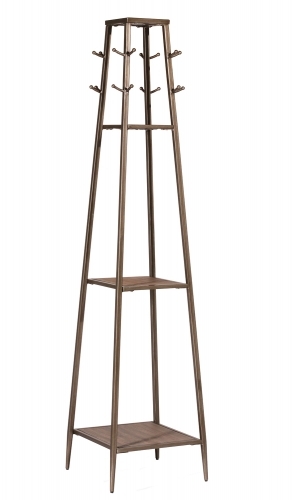 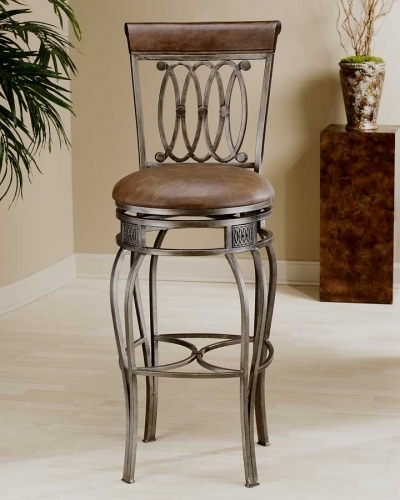 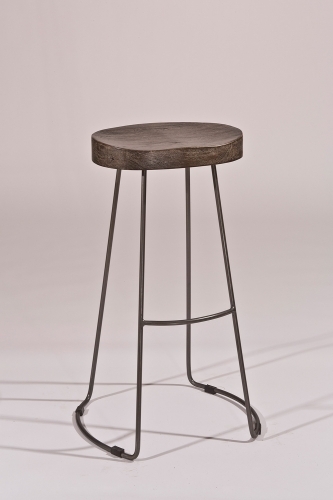 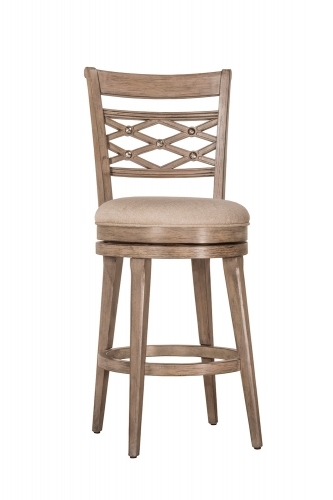 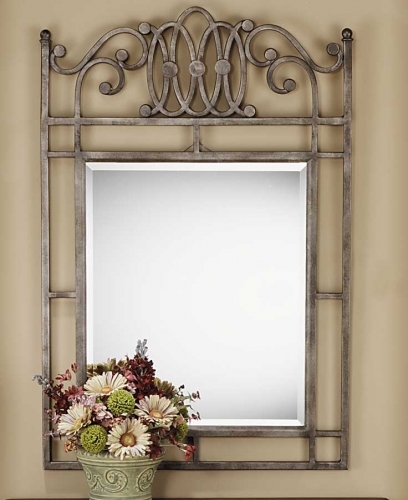 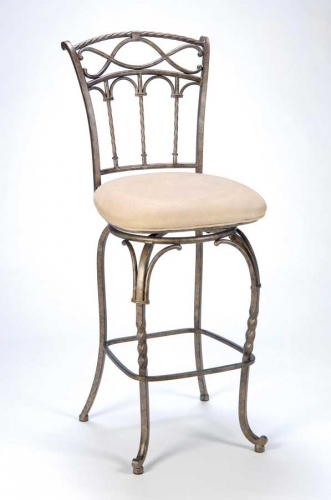 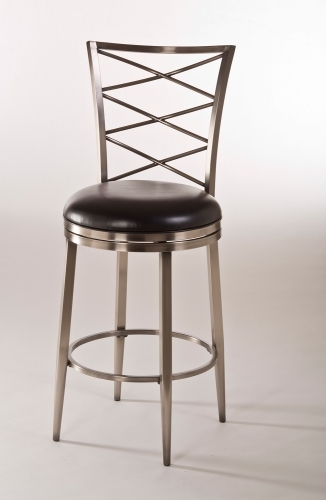 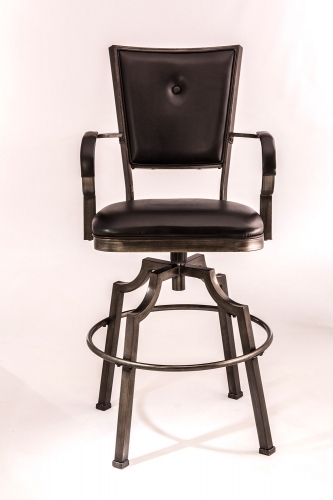 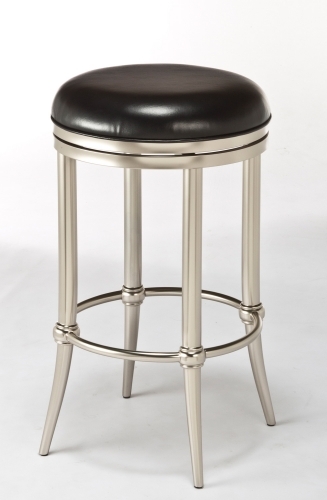 The Montello Stool, by Hillsdale Furniture, is finished in a dynamic old steel with distressed brown faux leather seats.